To resolve conflict, Malawi has relied on a constitutional commitment to using non-violent means and the application of traditional conflict management mechanisms such as negotiation. Since independence in 1964, Malawi has relied on traditional means of dispute resolutions which served Malawi reasonably well and the country has maintained relative peace and prosperity. In more recent years, however, the country has witnessed a growing trend of rising conflict and the increasing fragility of peace. Grievances over widespread poverty, unemployment and social inequalities have manifested in outbreaks of violence. Without political consensus on reform priorities, efforts to resolve differences through negotiation and traditional methods have fallen short and Malawi’s long-term stability is under threat. Ai Morita (Japan) serves as a UN Volunteer Peace and Development Specialist with UNDP under the Human Resource Development Programme for Peacebuilding and Development. Here, she is seen with participants in the Women in Peacebuilding Forum, Malawi. The Government of Malawi has responded to this challenge by seeking to institutionalize a mechanism for sustainable peace through a National Peace Architecture (NPA). Supported by the United Nations Development Programme (UNDP), the NPA is a national initiative that will provide an institutionalised platform for proactive collaborative dialogue, peace building and conflict prevention in Malawi. 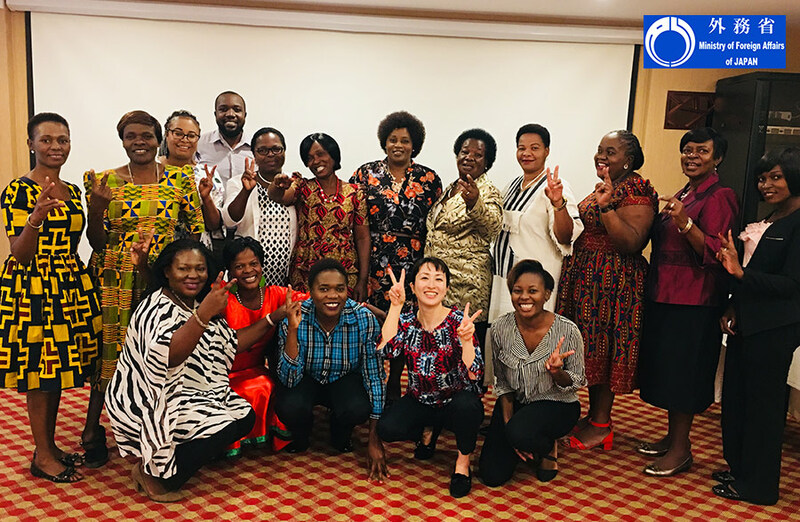 Ai Morita (Japan) served as a UN Volunteer Peace and Development Specialist with UNESCO in Malawi under the Human Resource Development Programme for Peacebuilding and Development from April 2017. The primary purpose of Ai’s assignment was to assist the Peace and Development Advisor (PDA) placed through the Joint UNDP/DPA Programme on Building National Capacities for Conflict Preventions. Ai was responsible for many activities related to the establishment of the NPA in Malawi. This included planning, implementation and management of the Social Cohesion Project, that aims to promote peace building, conflict prevention and resolution and facilitate dialogues between conflicting parties at local and national levels. Ai also provided technical support on conflict analysis, conflict early warning and early response and worked to strengthen the coordination and communication between the NPA structures and other actors, such as government agencies, civil society groups, the private sector and UN Agencies. Ai’s experience with UNDP far exceeded her expectations. She quickly took on expanded responsibilities when PDA supervisor left for another job halfway through her assignment. Ai found the most challenging part being that she did not have the same level of networks and access to key personal who could provide essential information for political and conflict analysis. Ai worked with a wide variety of stakeholders, including youth, women and community leaders such as chiefs, religious leaders to build their peace building knowledge and capacities. She contributed to increasing the knowledge and capacities of District Peace Committees and youth/women leaders on conflict analysis, reporting and early warning/early response. Beyond that, Ai supported establishing networks of leaders who are now providing platforms of information sharing and initiatives for peace building. Furthermore, she helped raise awareness of the NPA, its intended structures and achievements amongst project stakeholders and the public and has built the project management, strategic thinking and resource mobilization skills of the government counterpart team. Thanks to her assignment, Ai said she has expanded her professional vision and deepened her technical knowledge. The NPA is led and implemented by the government of Malawi, primarily for the purpose of development and promoting national ownership and capacities for sustainable peace. Ai noted that UNDP’s role was to provide financial and technical support to the government, however, she firmly believes that her contribution to capacity development of some project beneficiaries like women and youth leaders, will remain as part of their knowledge and capacities forever. Ai’s work, providing technical support to the NPA establishment processes and to build the capacity of various stakeholders in conflict prevention and peace building, contributed to Sustainable Development Goal 16: Peace, Justice and Strong Institutions. This article was prepared with the kind support of Online Volunteer Helen Maccan.